There’s nothing like a classic Winnebago motorhome, and the Navion lives up to all our expectations. If you’re looking for a beautiful class C motorhome with all of the luxurious features, continue reading this Winnebago Navion RV Review to discover what’s truly unique about our Winnebago Navion Diesel Class C Motorhome for sale. It’s always been about keeping it classy with anything from Winnebago, and the Navion is no exception. 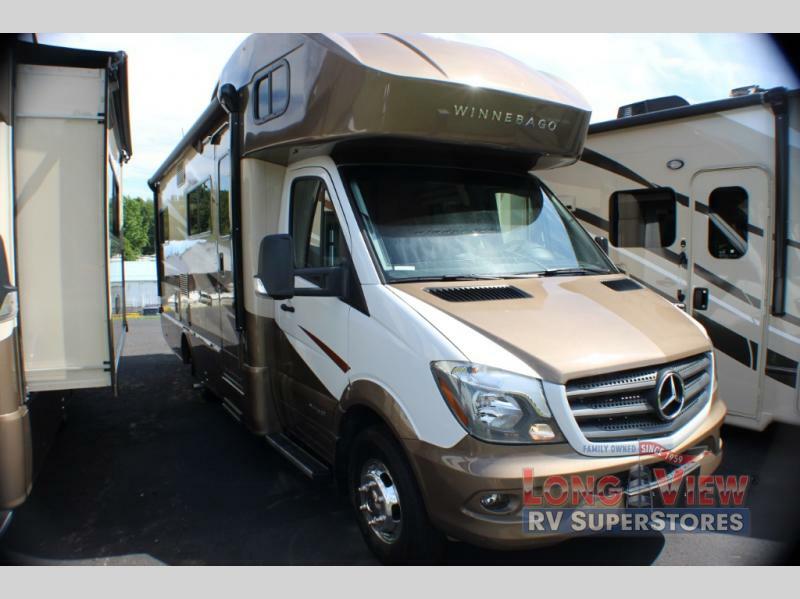 The exterior of this RV features a Mercedes-Benz® Sprinter Chassis that provides a 3.0L 6-Cylinder, 188 HP, Turbo-Diesel Engine, a 5-Speed Automatic Tip-Shift Transmission, and a 220 AMP Alternator. The interior luxury is no surprise to us, either. Because motorhomes are designed for long hours on the road, we thought you’d like to know that there are plenty of features that come with the cab (specifically in relation to the awesome radio). Definitely all the more reason to fall in love with the Navion! In addition to an amazing cab experience, follow us toward the back on the vinyl flooring (all throughout), and settle at the sofa sleeper. For entertainment, enjoy watching a movie on either the 28″ or the 32″ HDTV (check floorplans). This gives you a chance to unwind after a long day of travel, or any of your fun outdoor adventures! 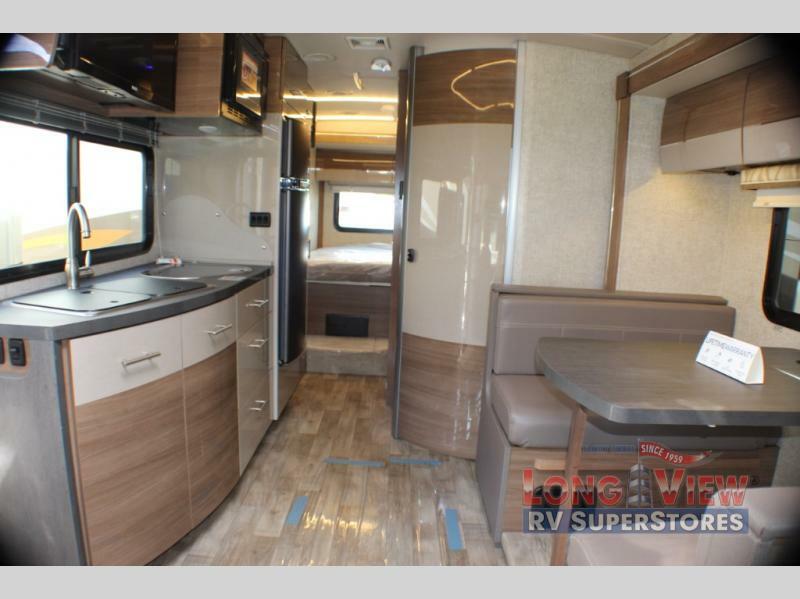 Thank you for reading the Winnebago Navion RV Review, and if you’re interested in this beautiful Winnebago Navion Class C Motorhome, stop by and take a look at it for yourself! If you have any questions, please contact us today. We hope (and we know!) this motorhome is everything you’ve ever dreamed of!